After Katkowsky restored it, this unique 1927 trailer was exhibited in the famous Petersen Automotive Museum in Beverly Hills. It is now on display in the Ben Lomond museum. When a guy calls every week for a year, you know he means business. For Steven Katkowsky, that kind of persistence paid off. He eventually received the call back he was hoping for, hightailed it from Santa Cruz, California to Farmington, Pennsylvania in two days, and achieved his goal: acquiring a rare prototype travel trailer dating back to 1927. 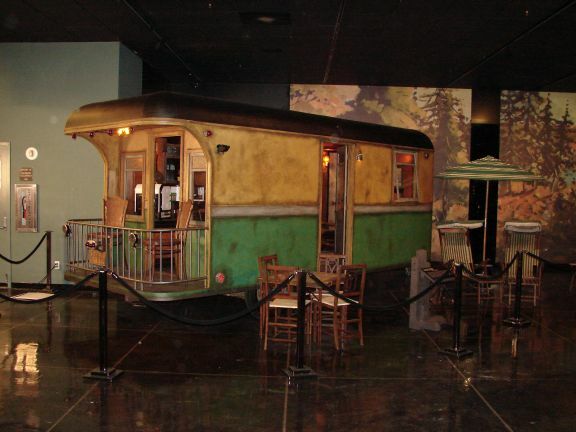 It turned out to be one of the oldest trailers in the country that has never been used, and is just one of the many historical treasures exhibited in his Vintage Trailer Museum, located in Ben Lomond. 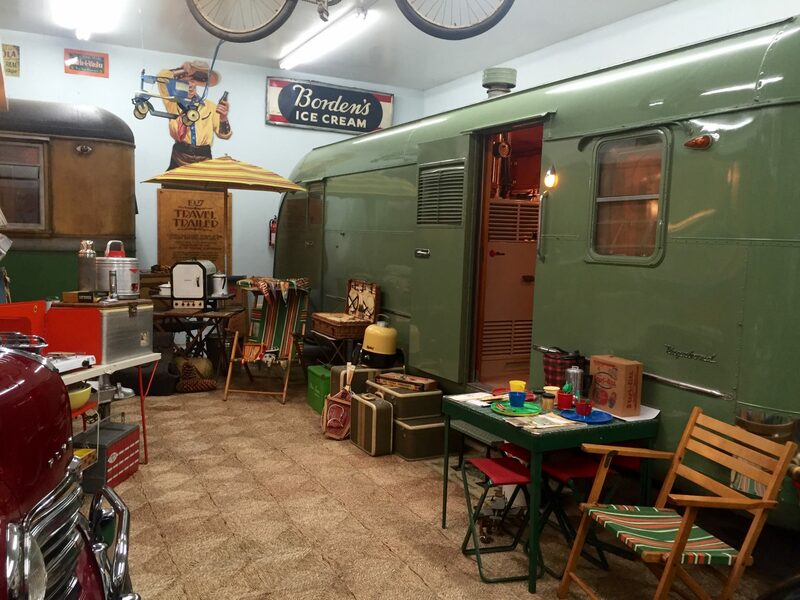 The Ben Lomond museum has vintage trailers, classic cars, and memorabilia. 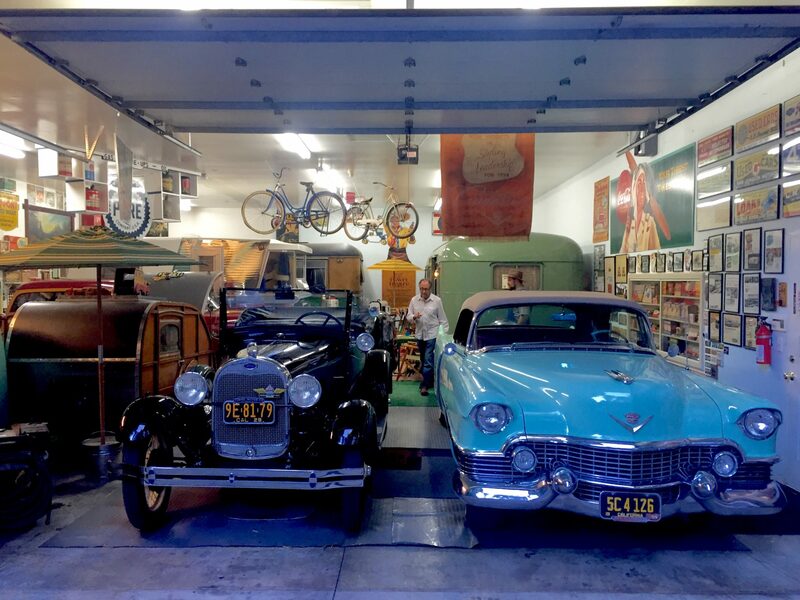 Katkowsky has a unique knack and passion for finding, restoring, and preserving antique trailers, classic cars, and memorabilia. He and his wife Jenay own an impressive, private collection of items spanning the 1920s through the 1960s, which are exhibited in a large warehouse-style garage professionally designed to showcase vehicles, display cases, and vintage items covering the floor, walls, and ceiling. His interest in collectibles began at a young age, when he assisted his mother with selling antiques at malls and fairs on the East Coast. 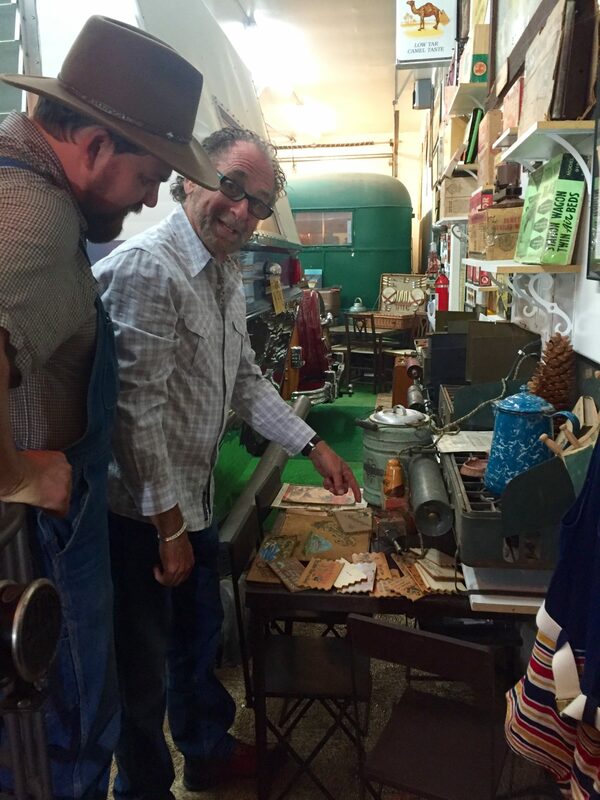 In addition to gathering antiques for over 40 years, he travels regularly giving nationwide lectures on diverse topics including collecting antiques, history, and photography, has been a featured guest on TV and radio shows, and has done carpentry, design, and remodeling for homes in the Bay Area. Katkowsky has used his vast knowledge of antiques and understanding of craftsmanship to maintain the structural and historical integrity of the travel trailers. He has restored the exteriors to come as close as possible to their original appearance, and has decorated the interiors to coincide with the appropriate year – every item in or around each trailer is period correct. Walking into each trailer feels as authentic an experience as if it were the same year it was built, and all items have been carefully placed as if only minutes before people had been using them. In fact, his 1951 Vagabond trailer is in such good shape that he and his wife still tow it on trips. 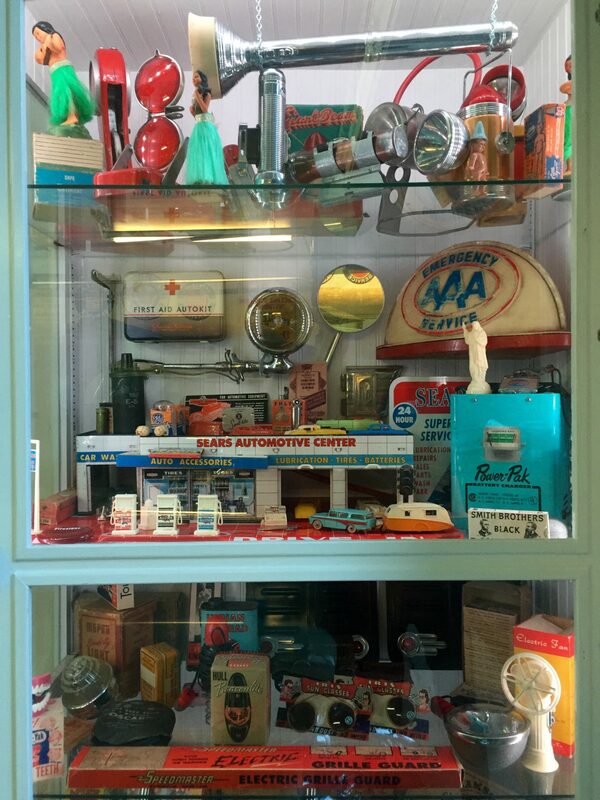 The museum is full of vintage memorabilia exhibited in cases, and on the floor, walls, and ceiling. Browsing museums can sometimes have a level of detachment. What makes touring a private exhibit like this one particularly special is the personal background information that visitors get to enjoy along with each item in the collection. The objects on display may be inanimate, but Katkowsky brings them back to life by sharing stories about what they are, how and when they were used, and who would have used them. His lively accounts of how he came to acquire them are as entertaining as the objects themselves, and his expertise and sense of humor make the museum-going experience as memorable, distinctive, and worth experiencing as a one-of-a-kind 1927 trailer. Katkowsky provides information about each item displayed. Groups of 10 or more people can visit the museum by arranging a private tour with Steven Katkowsky by email or phone. He supports local charities and organizations and requests donations be made to Habitat for Humanity in exchange for a guided group tour. To be in contact, for further information about the collection, and to view more photographs of the cars, trailers, and memorabilia, visit the Vintage Trailer Museum website.